Have you ever been in the market for track lighting for your home or office? If so, you know just how awful they are and how few choices are on the market, reducing your options to the one least likely to make you cringe. 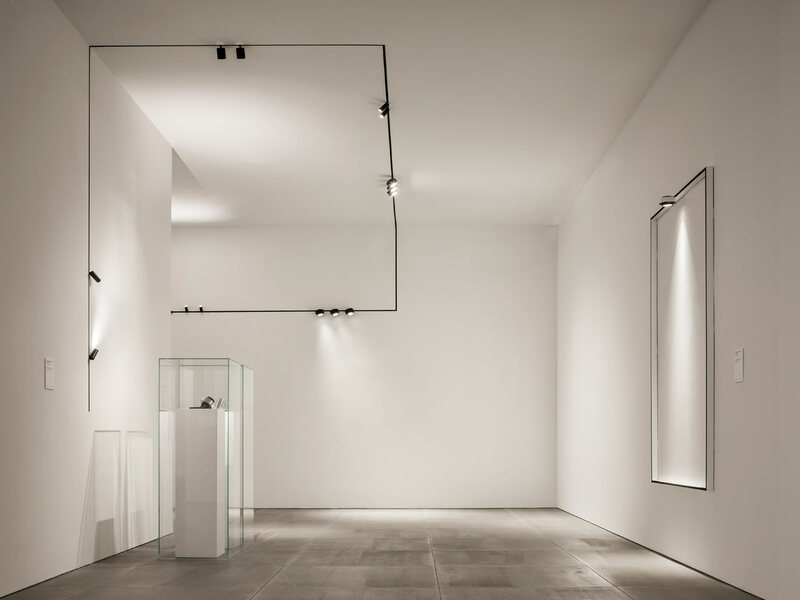 FLOS Architectural aims to change that with Tracking Magnet EVO, a flexible system with a minimalist aesthetic that offers a multitude of options. The system carries a 48-volt electrical core that allows for any kind of positioning on the walls or ceilings giving the flexibility to create anything from a simple fixture to a sculptural one with tracks going in various directions. Vertical and horizontal corners allow for transitions between walls and ceilings for seamless lines. The slender tracks can be suspended, surface mounted, or embedded in the walls or ceilings to achieve the desired look. The tracks utilize magnets that allow the fixtures and light strips to be moved around or repositioned without the need for tools.